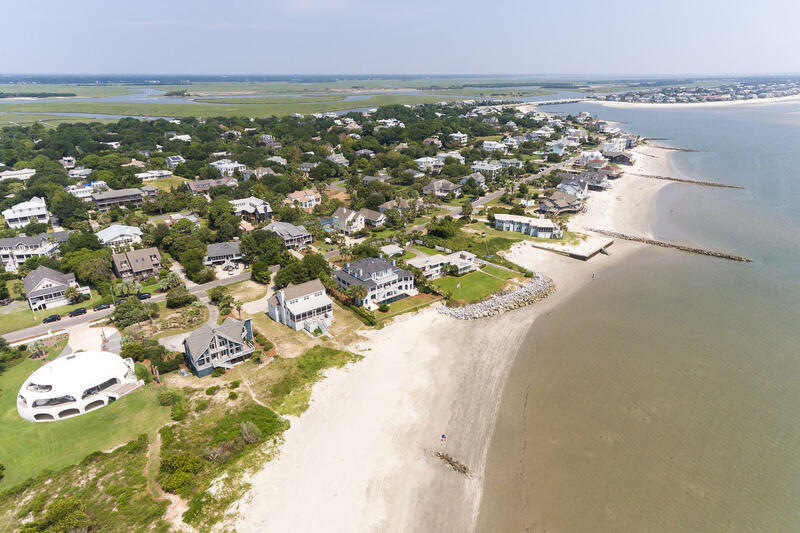 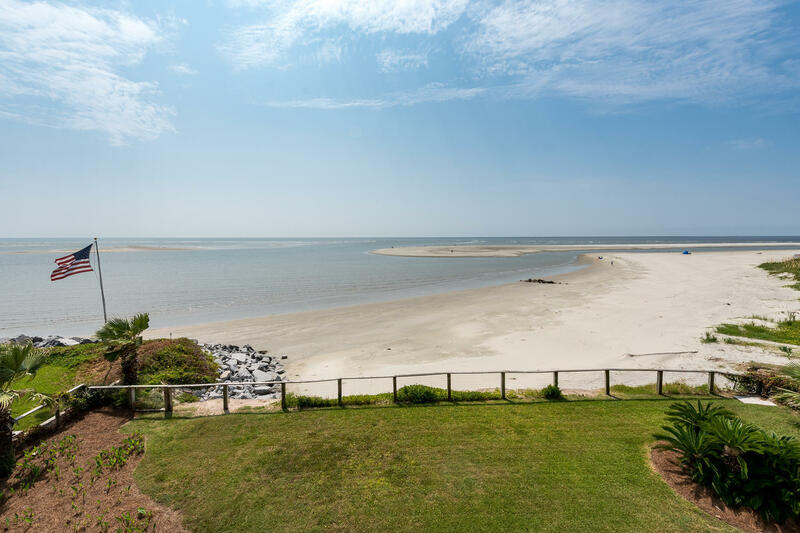 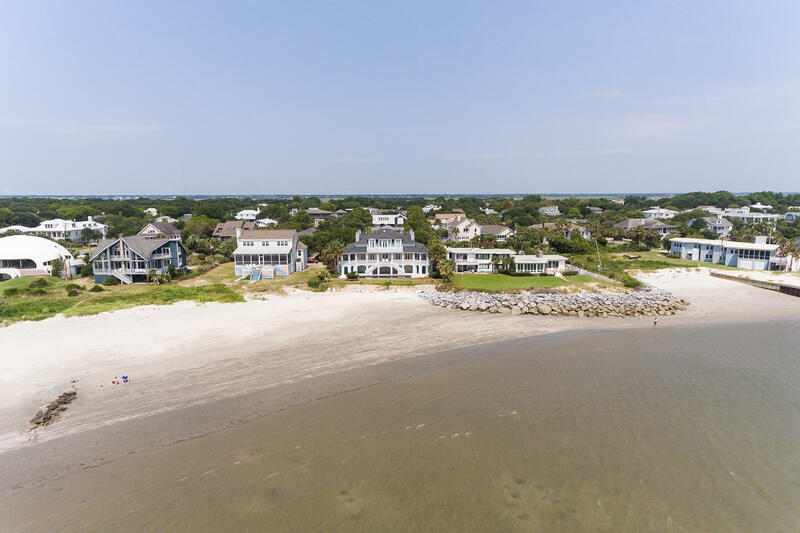 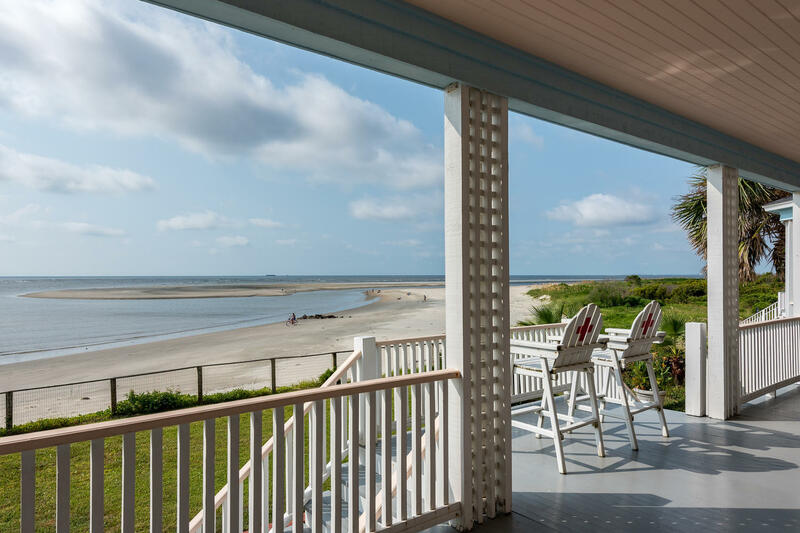 Gorgeous Sullivans Island Oceanfront! 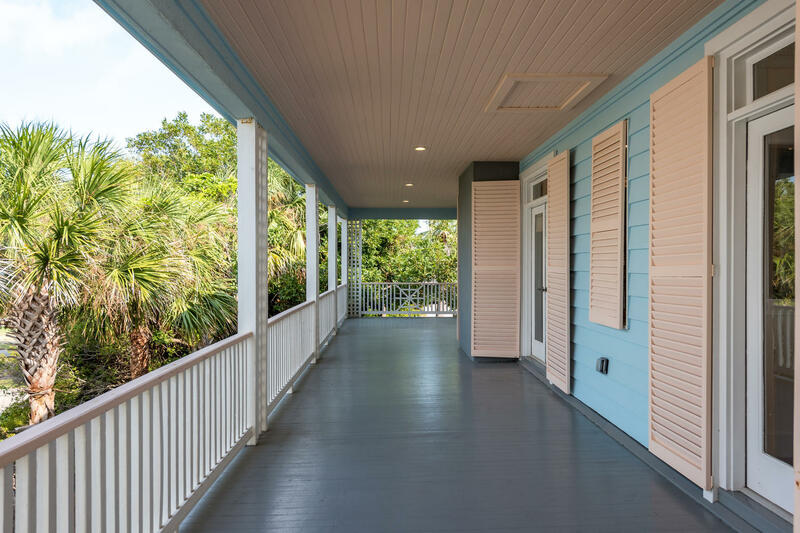 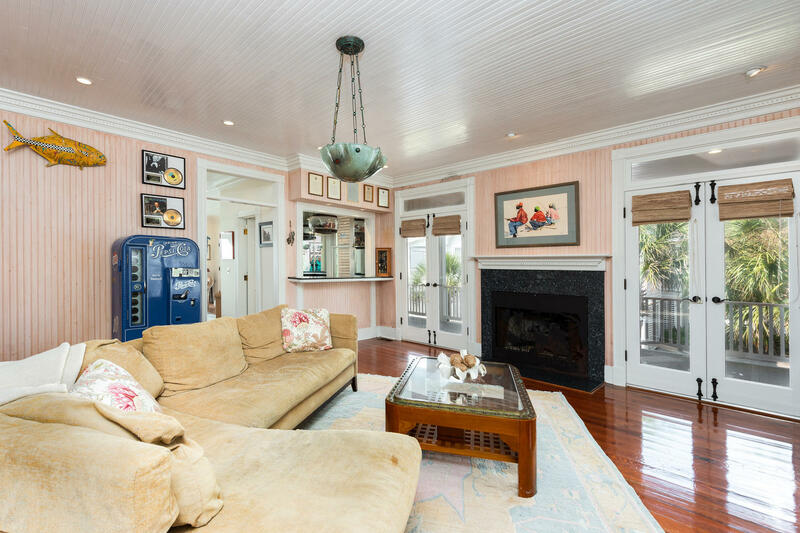 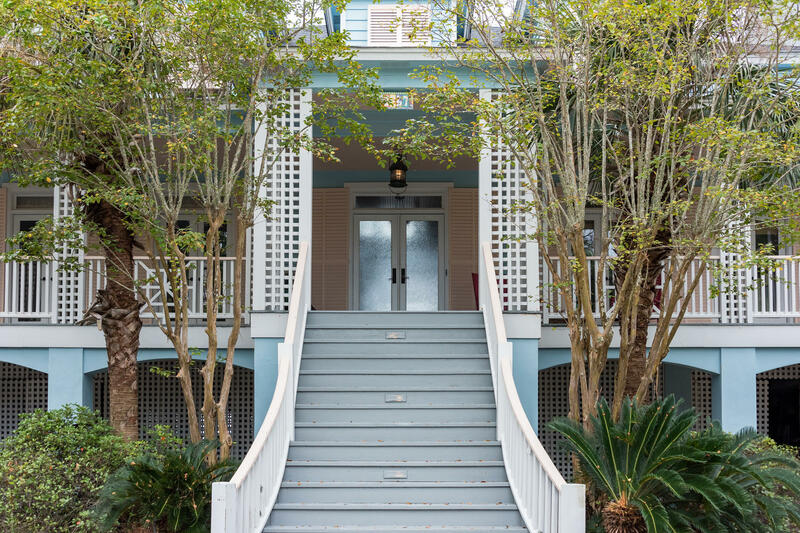 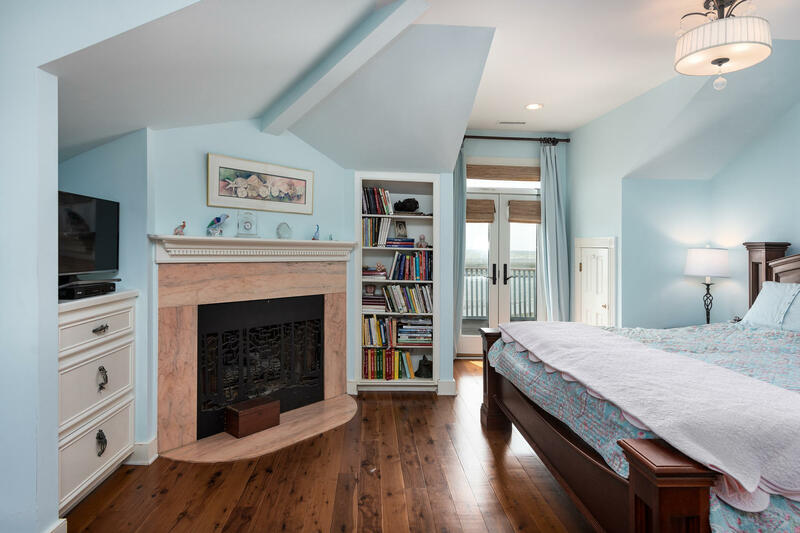 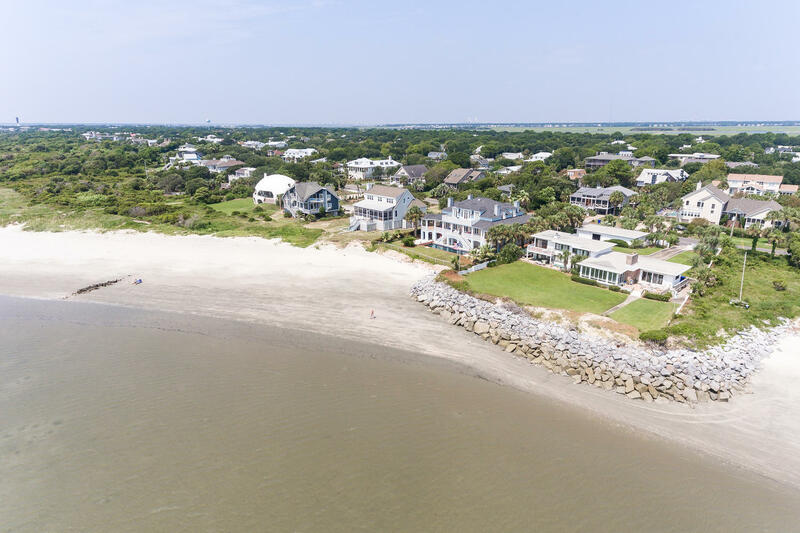 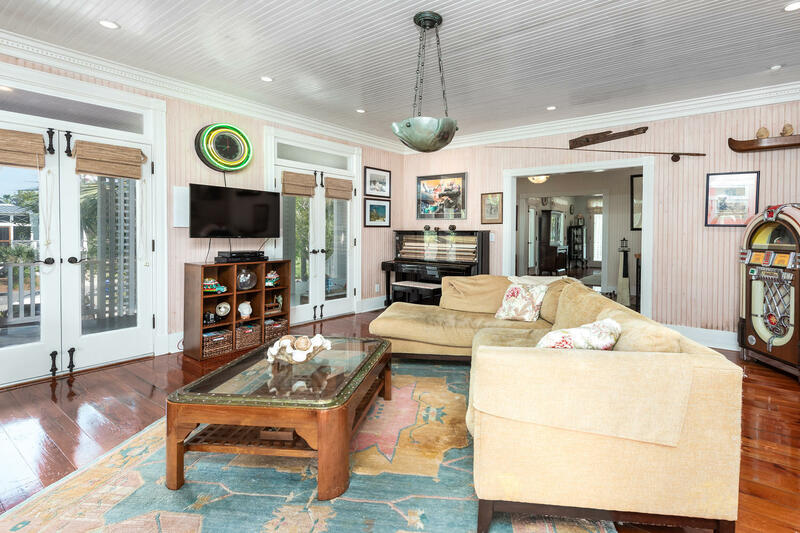 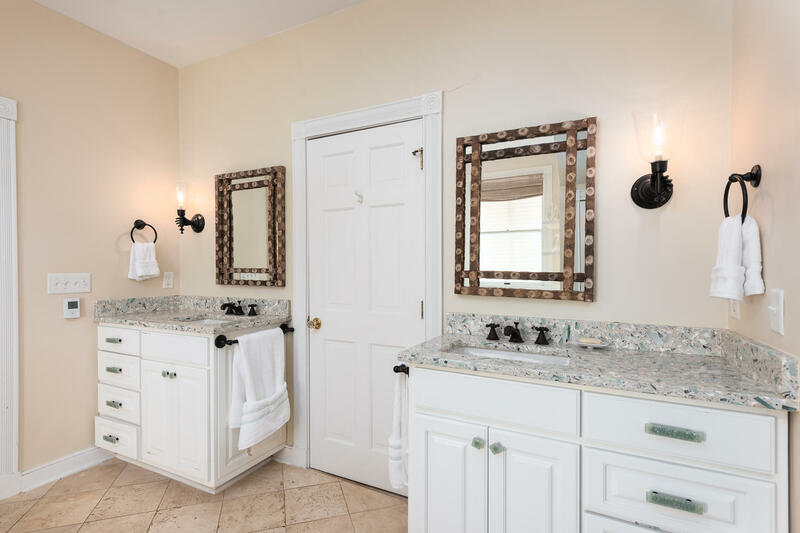 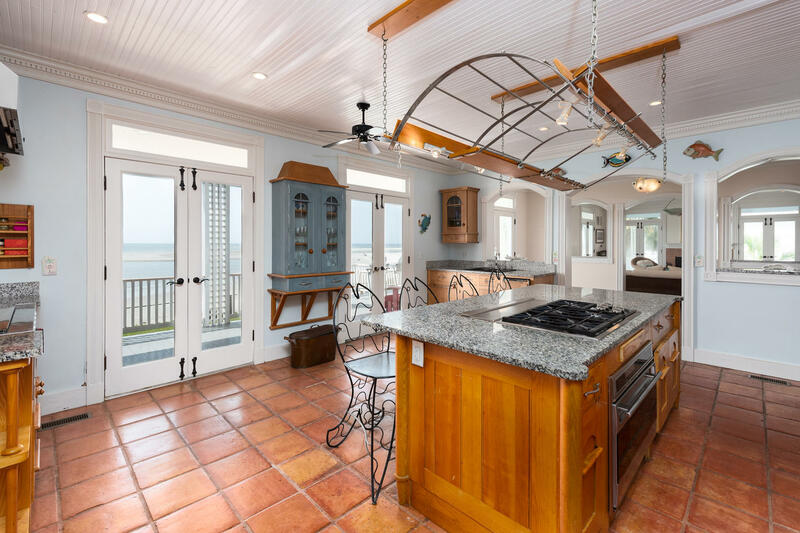 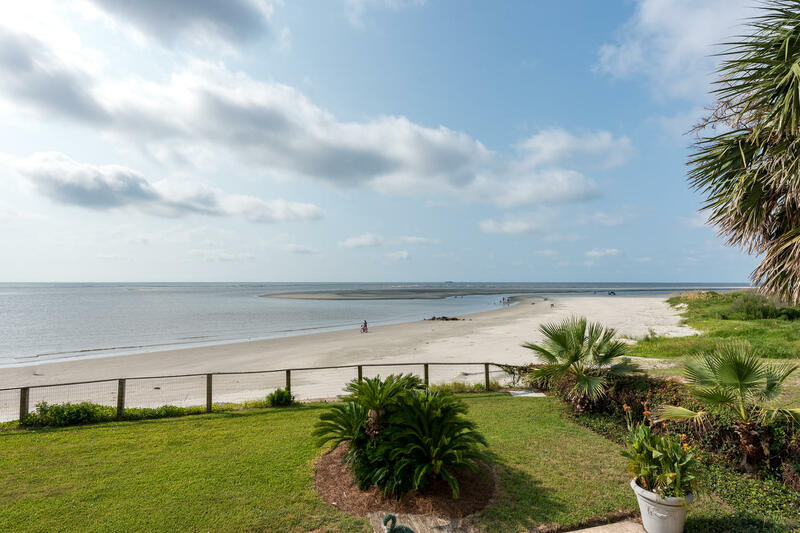 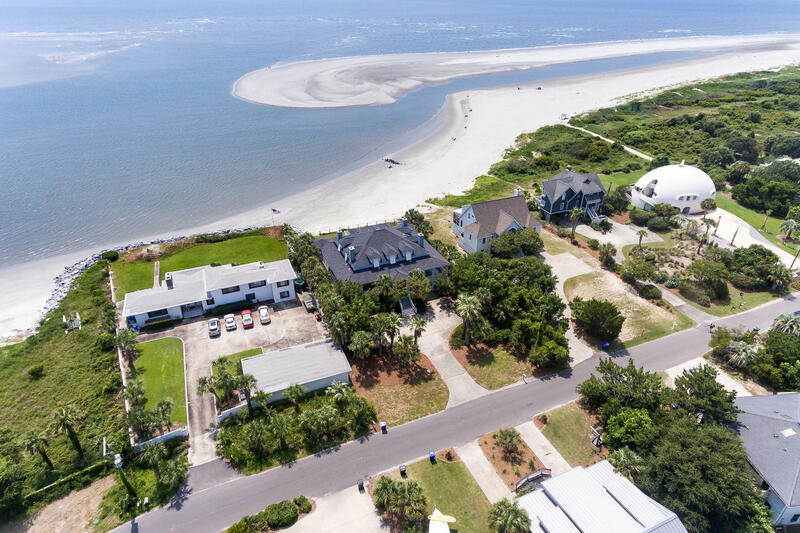 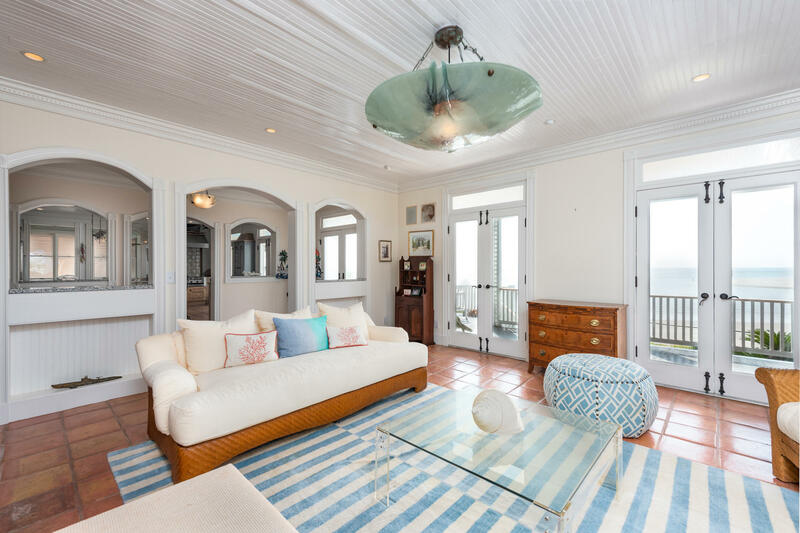 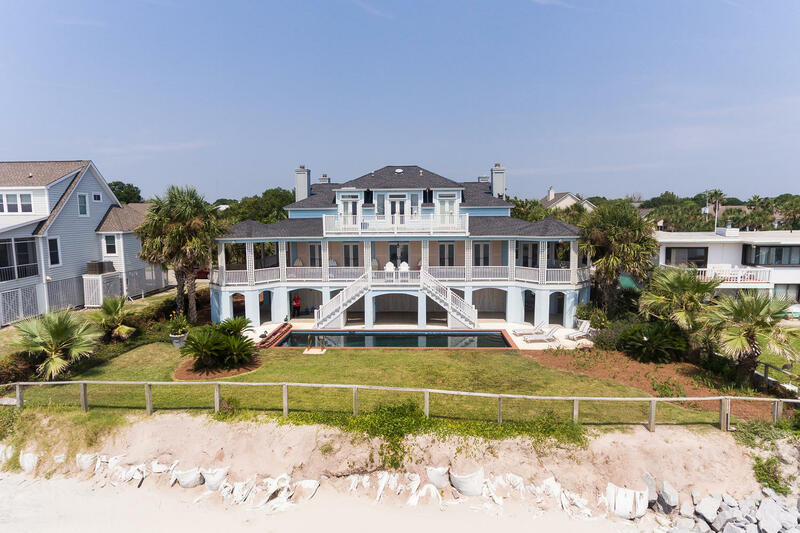 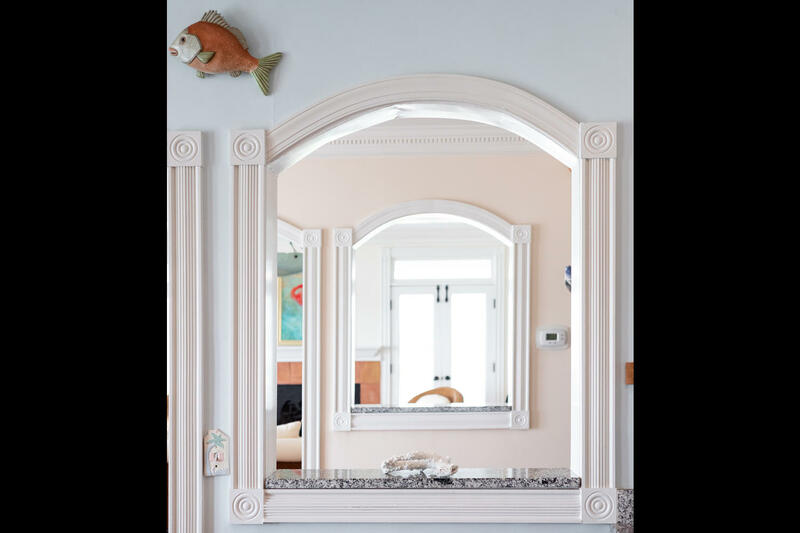 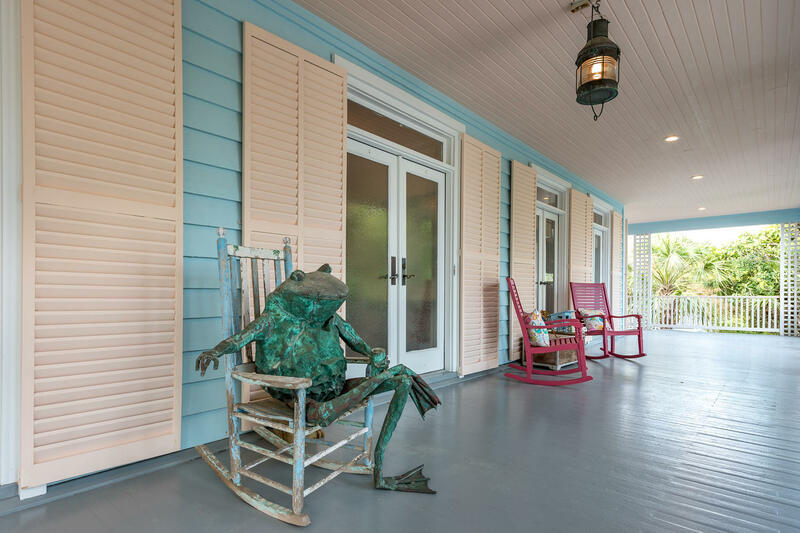 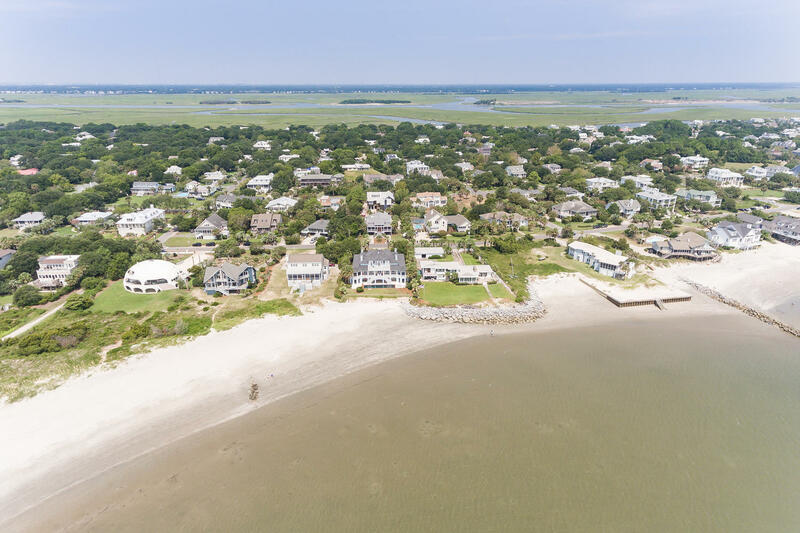 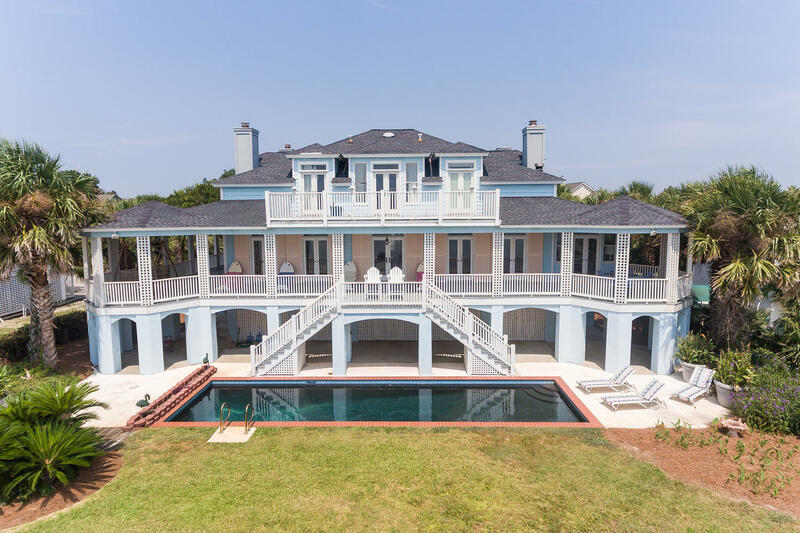 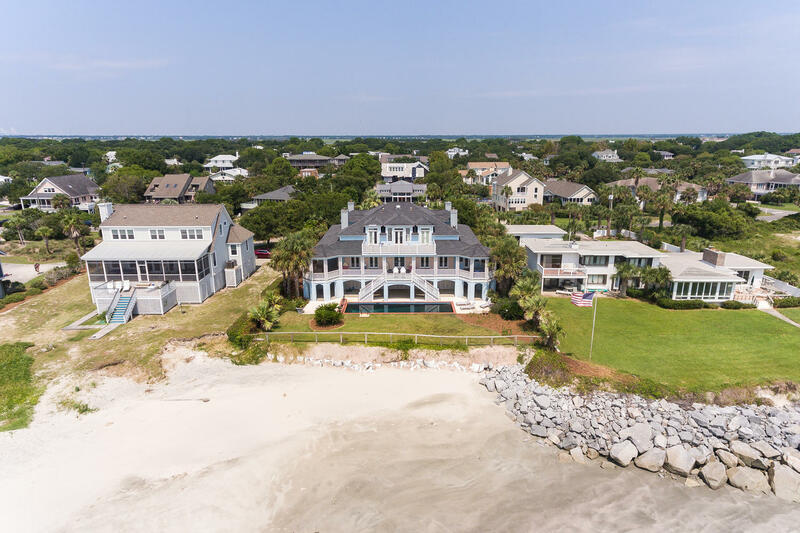 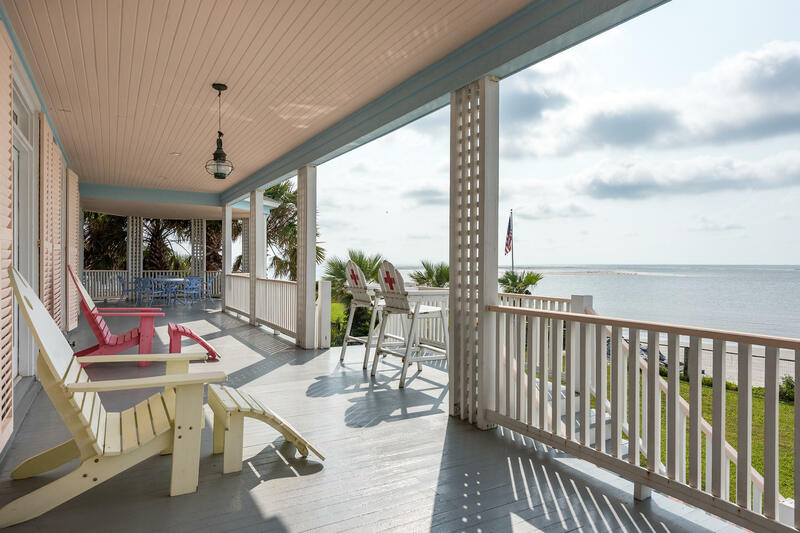 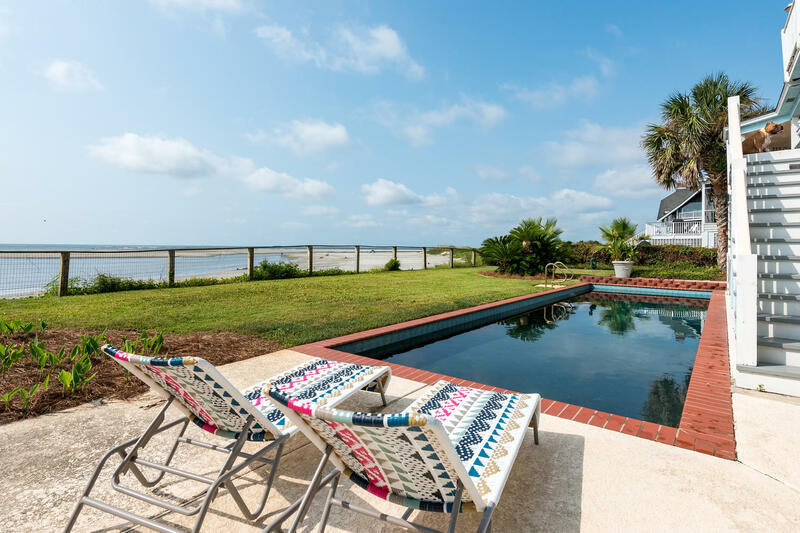 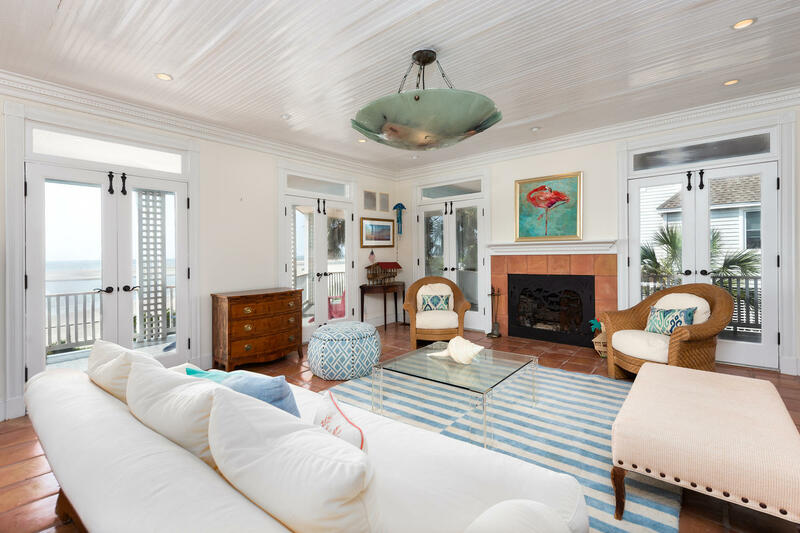 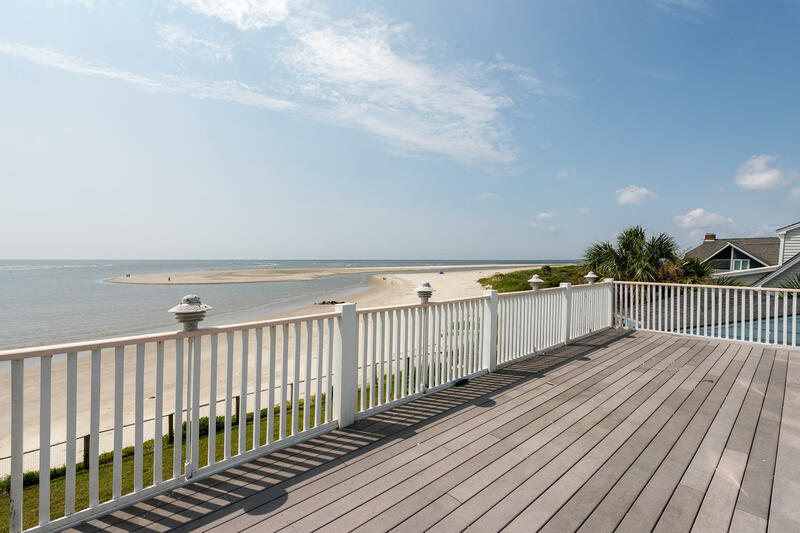 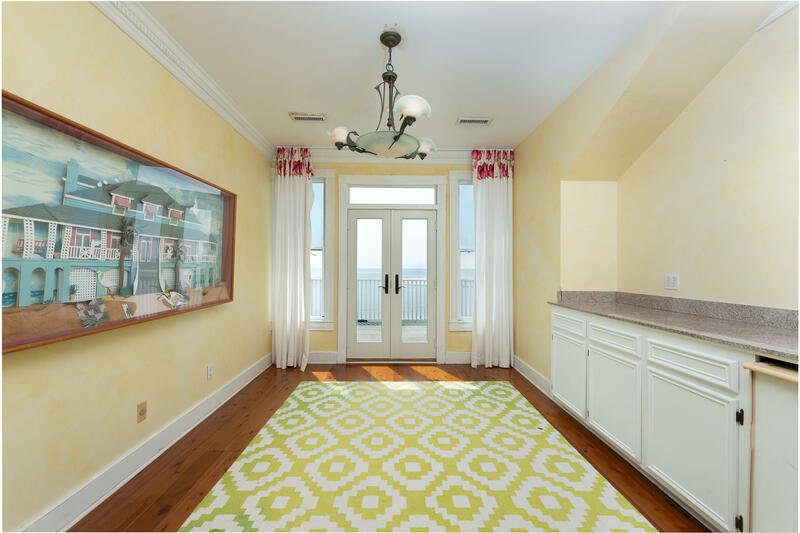 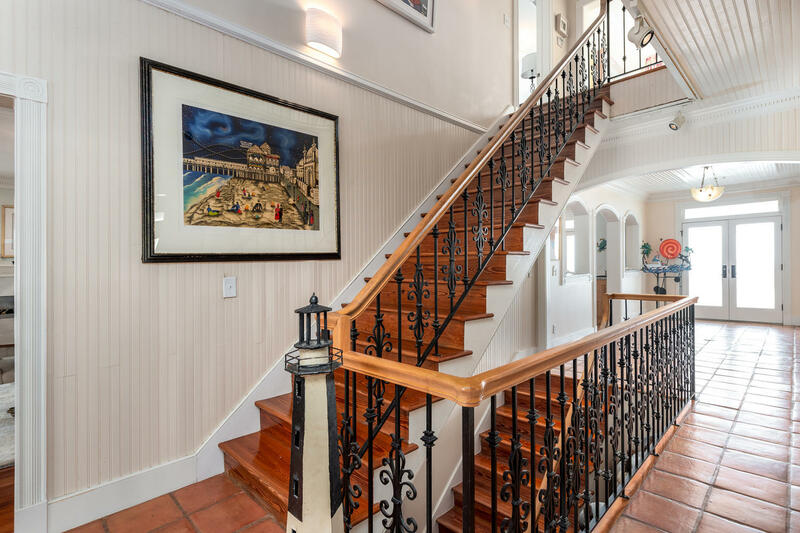 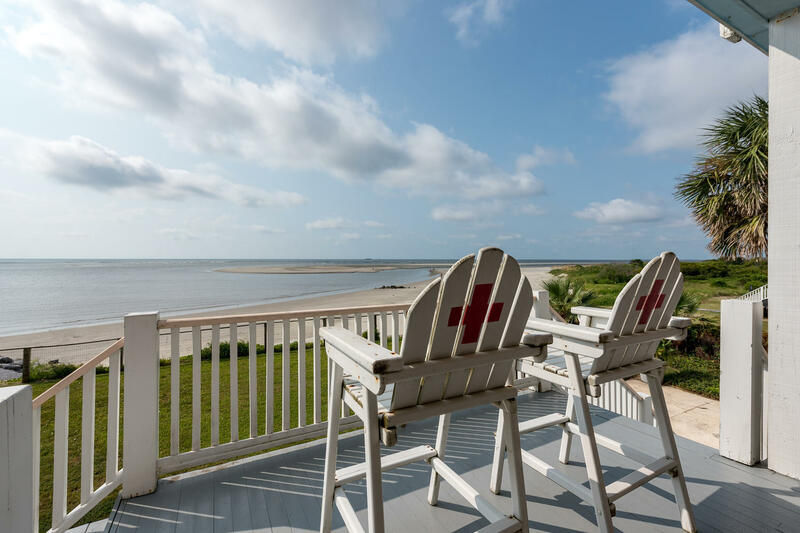 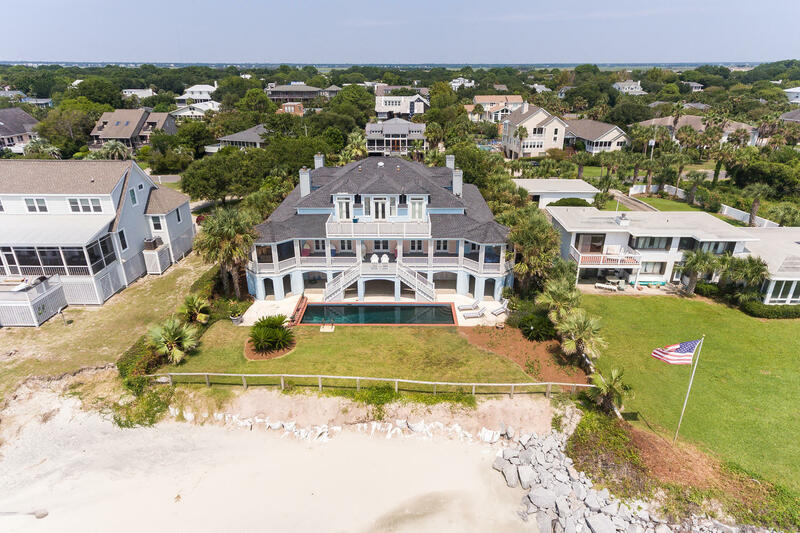 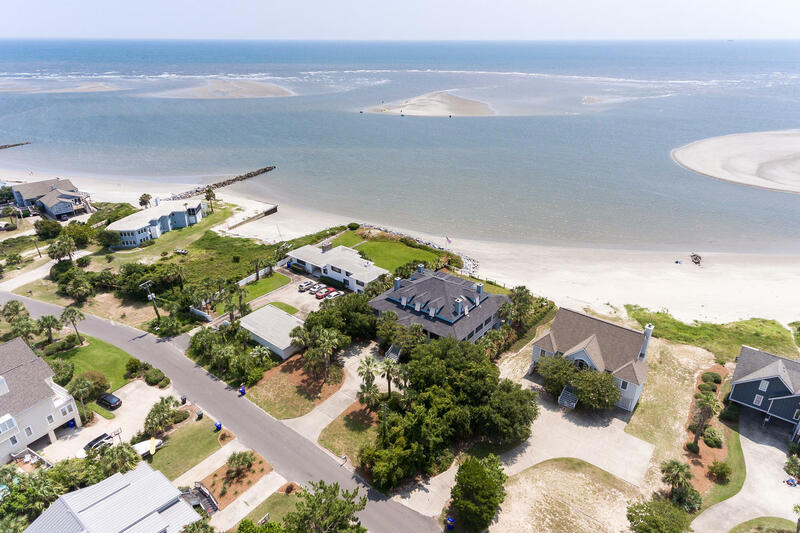 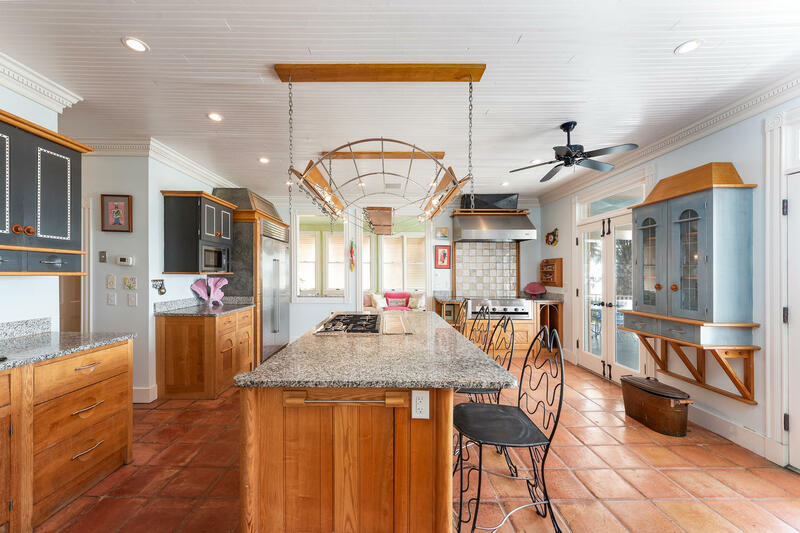 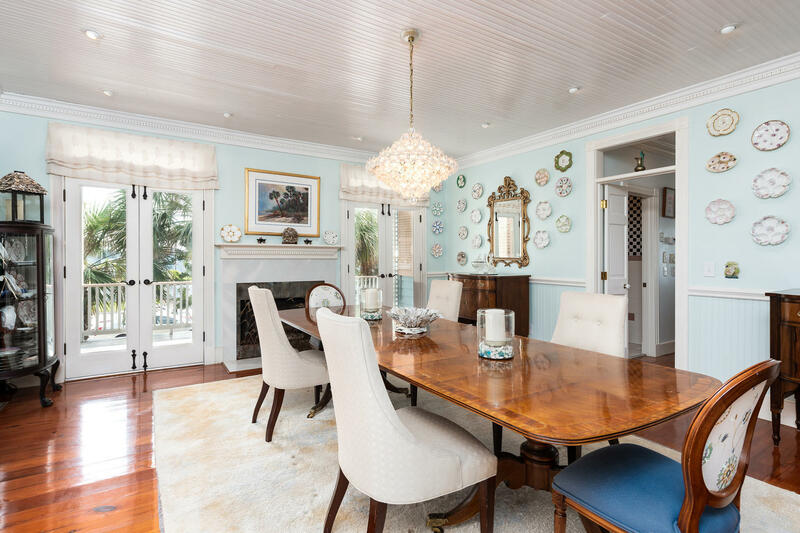 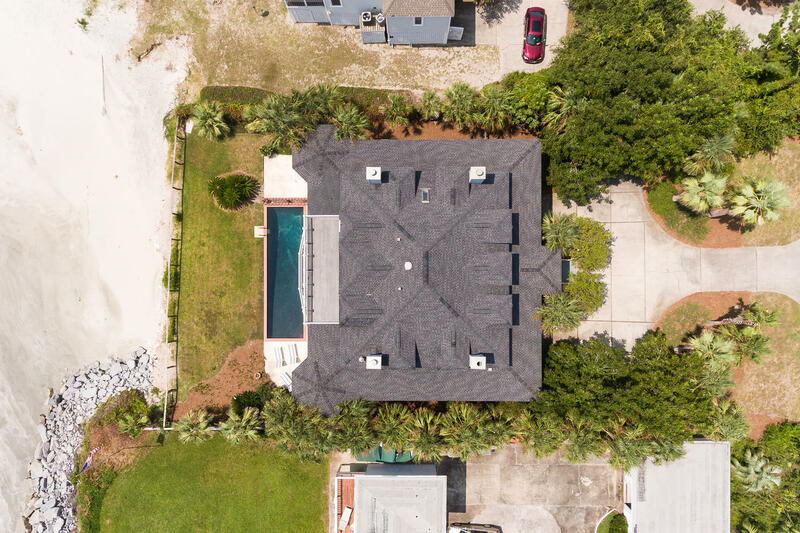 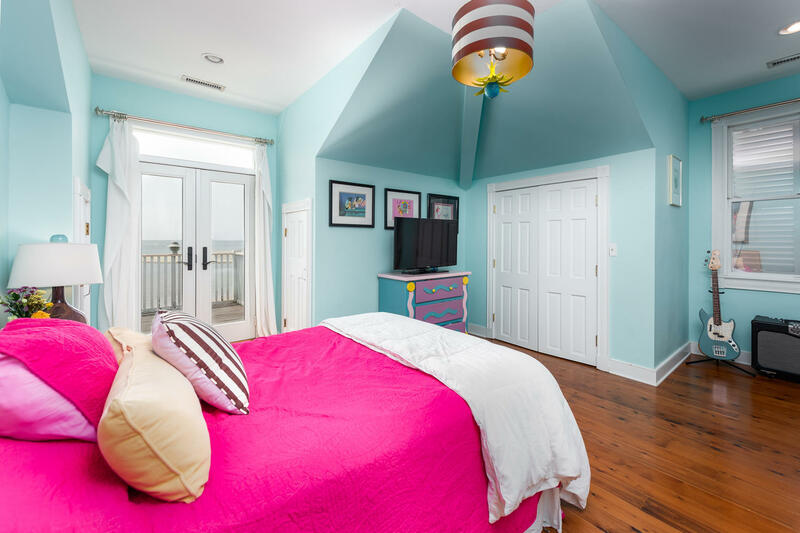 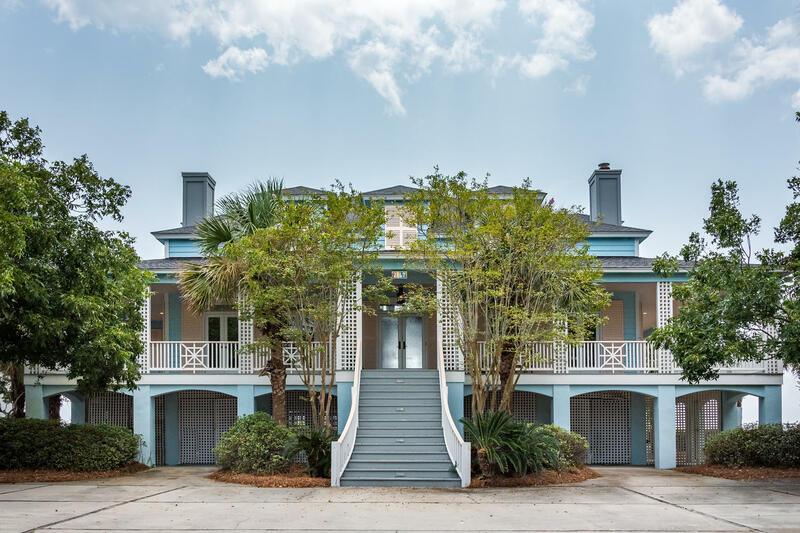 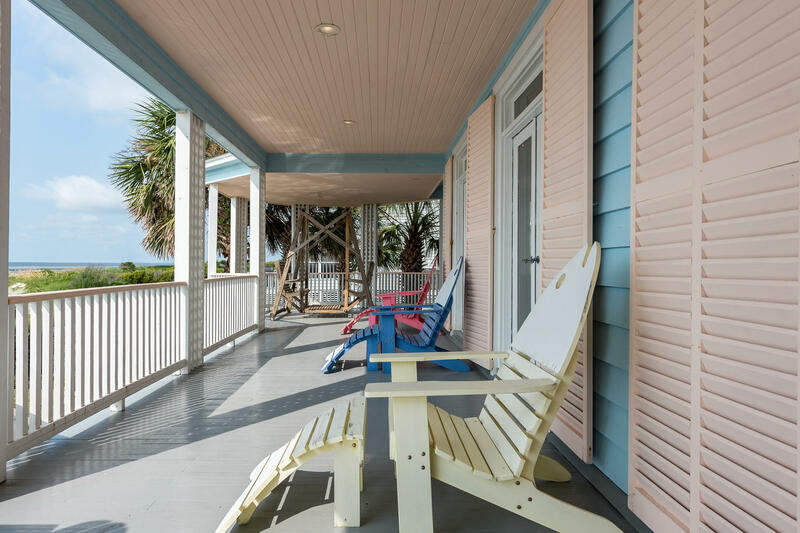 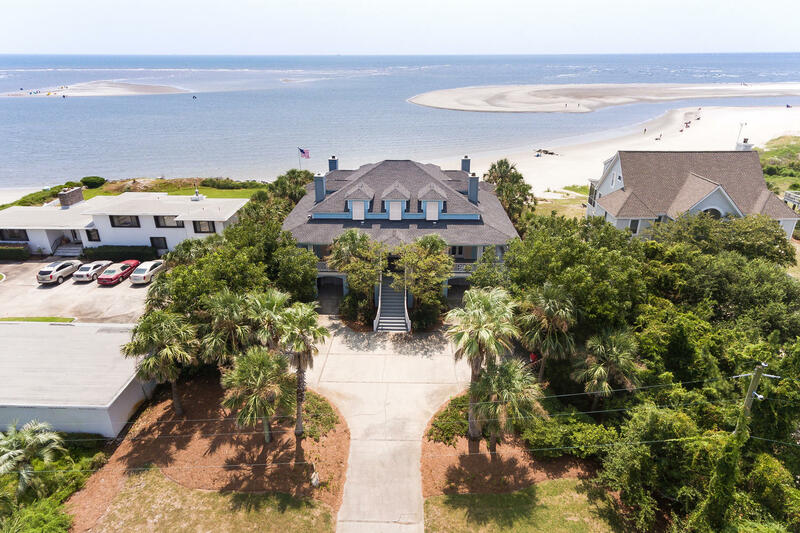 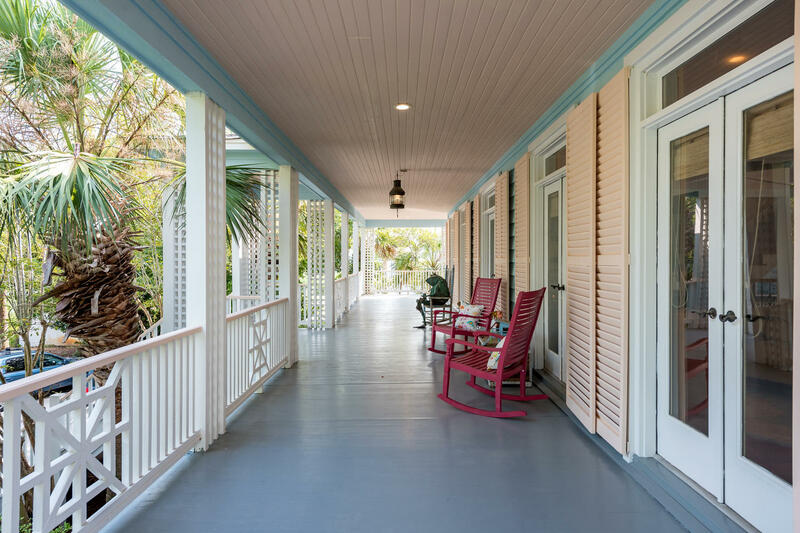 With its traditional Lowcountry architecture, this beautifully designed home offers gorgeous panoramic views of the Atlantic coast. 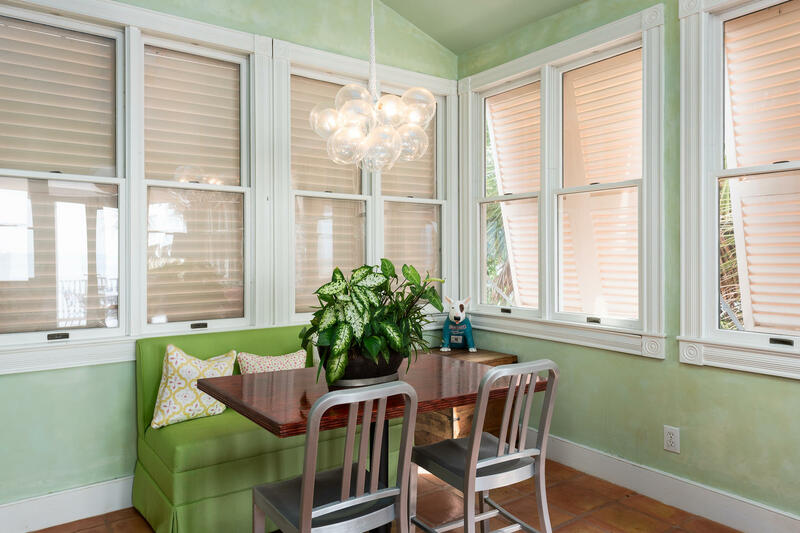 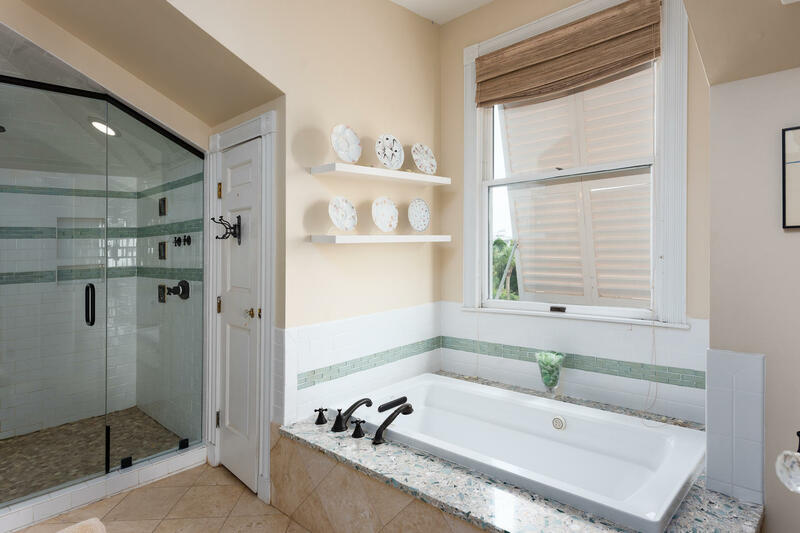 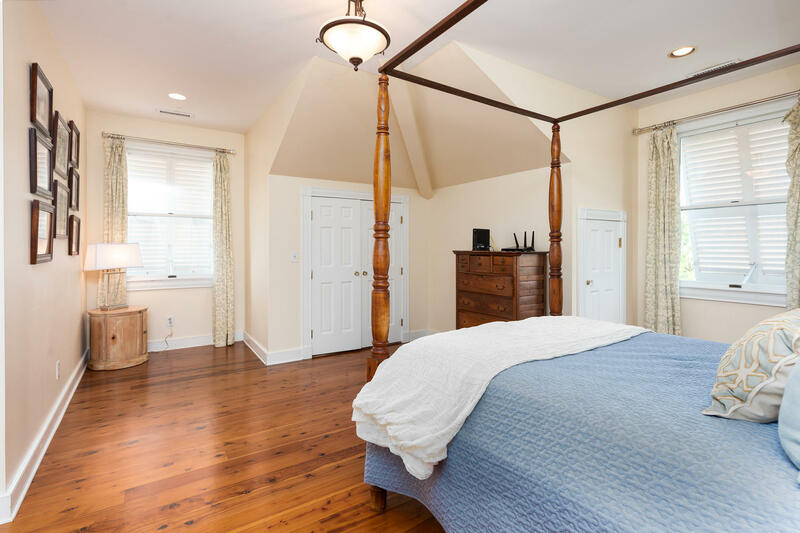 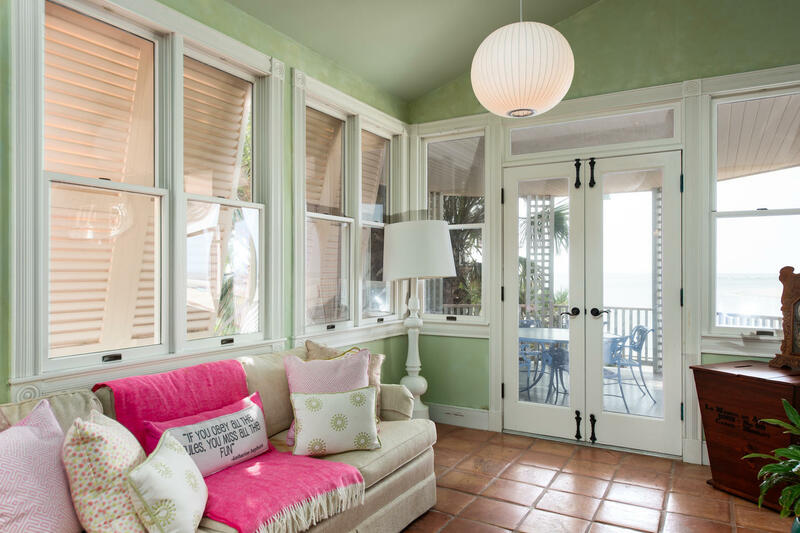 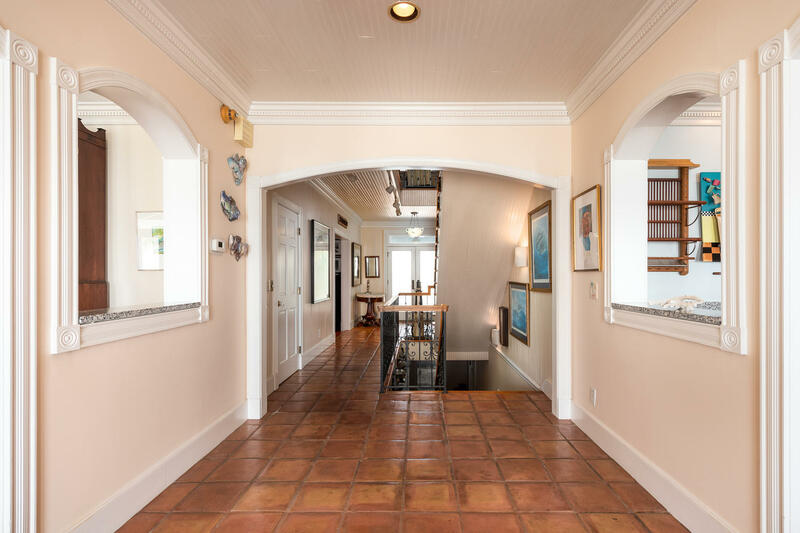 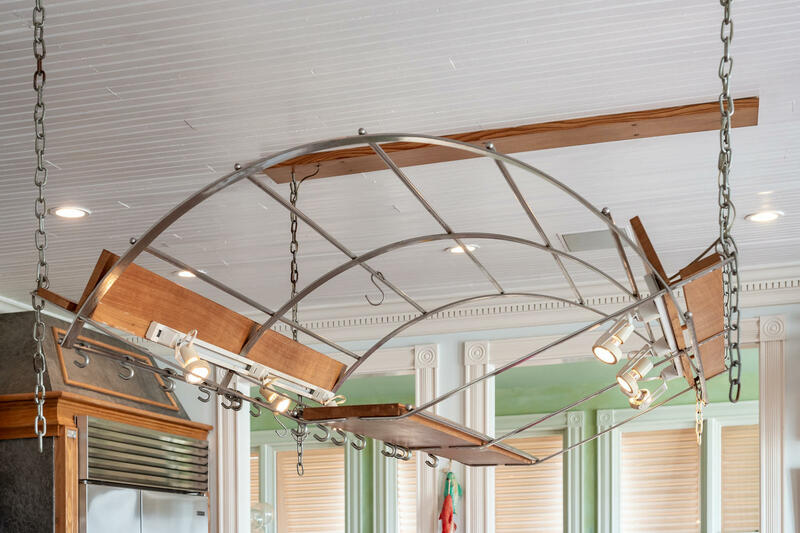 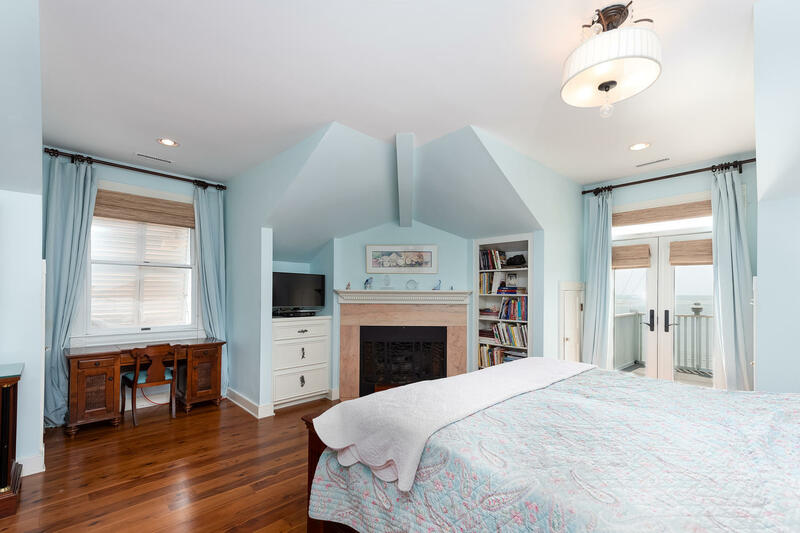 Natural sunlight pours into the house through french doors that encircle the entire main level. 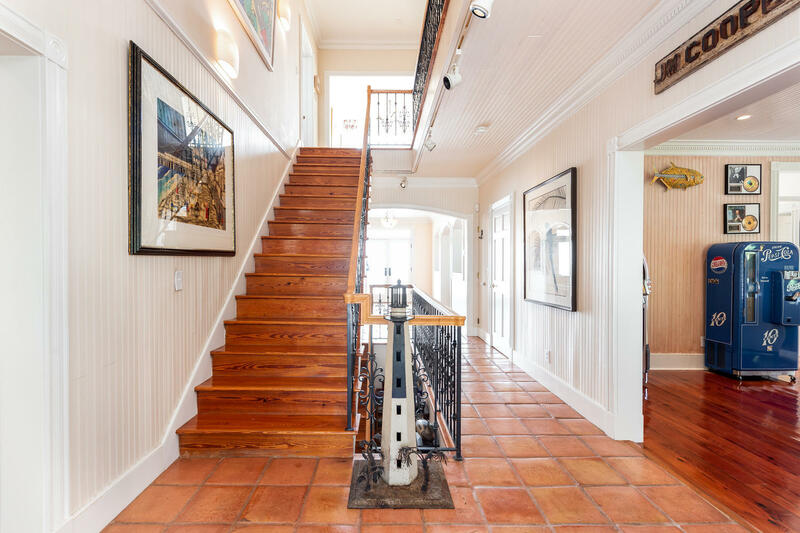 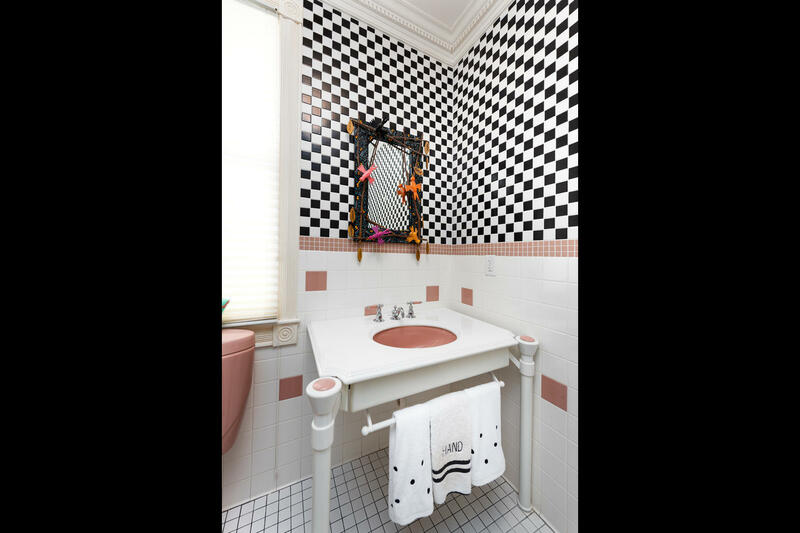 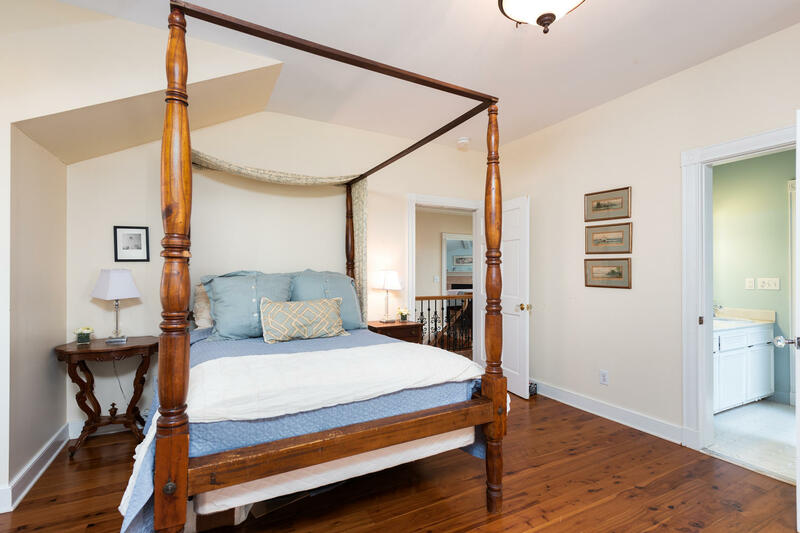 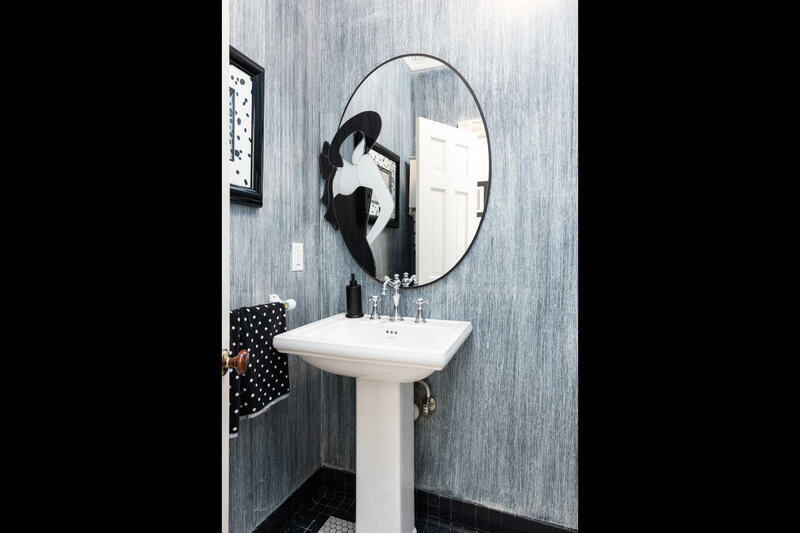 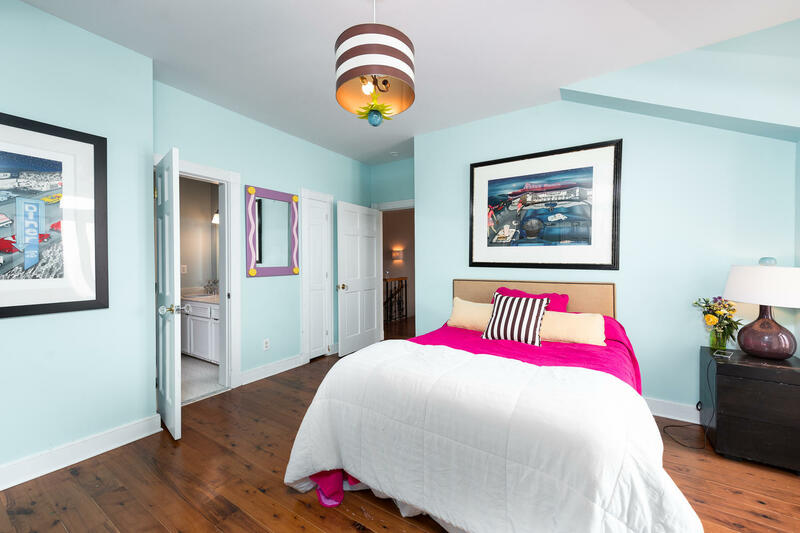 The first story features heart of pine floors and handmade Mexican tile, as well 10' ceilings, and three gas fireplaces. 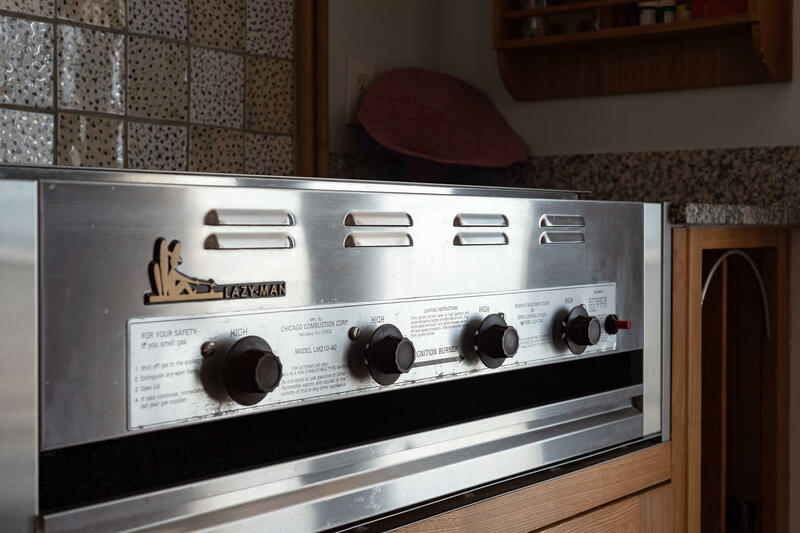 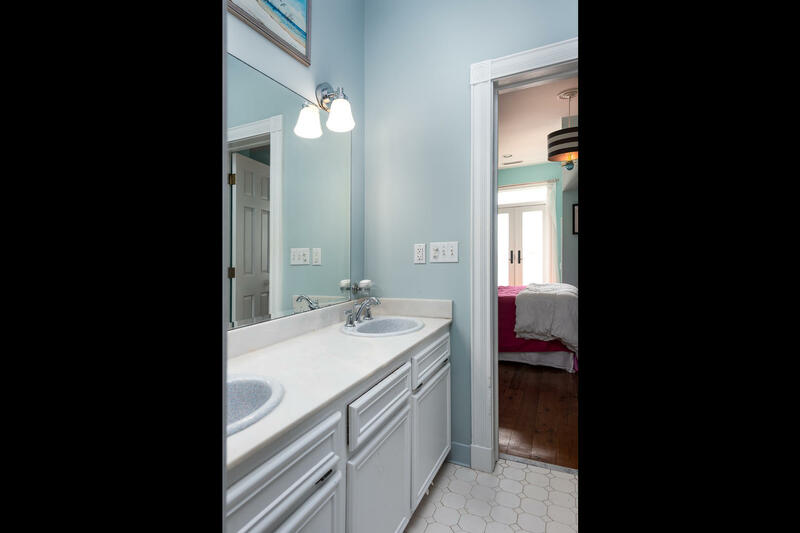 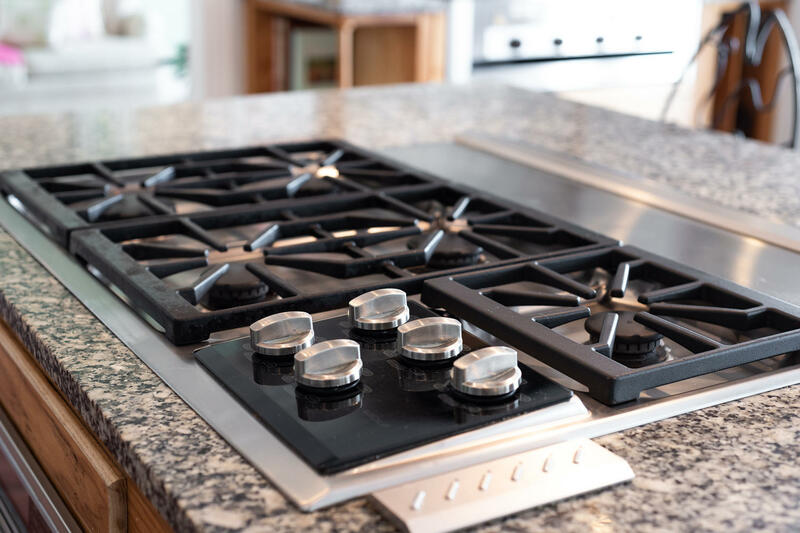 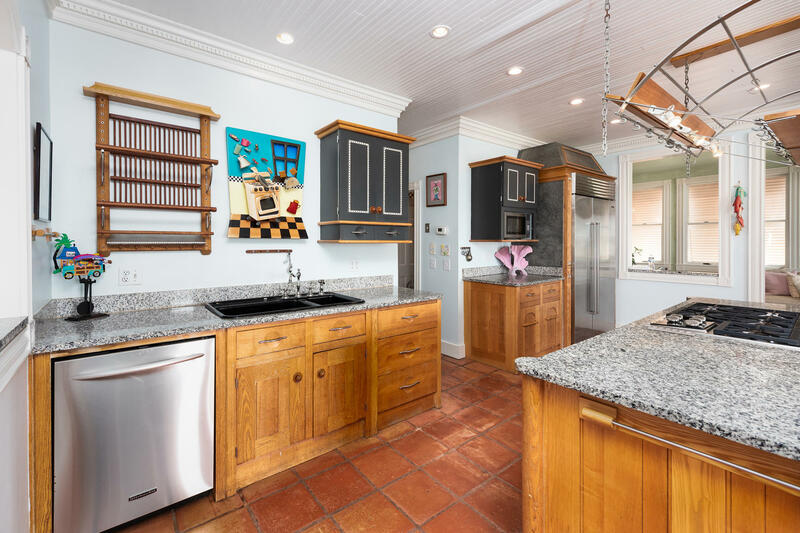 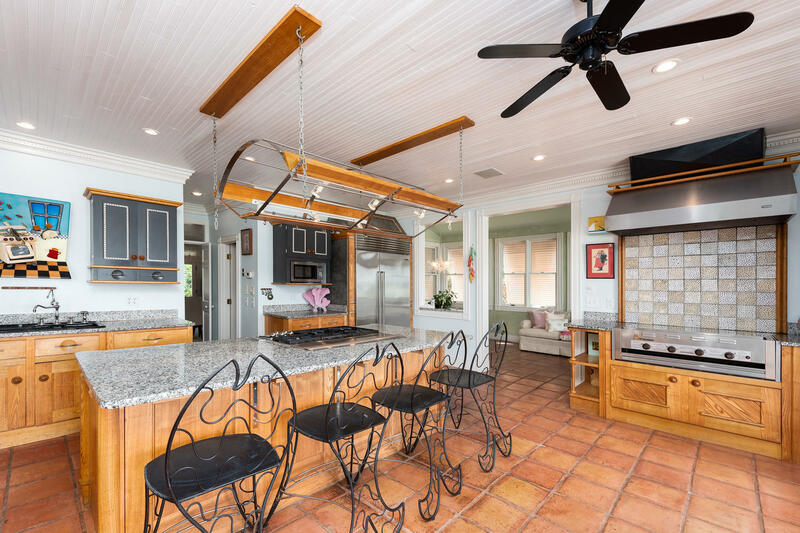 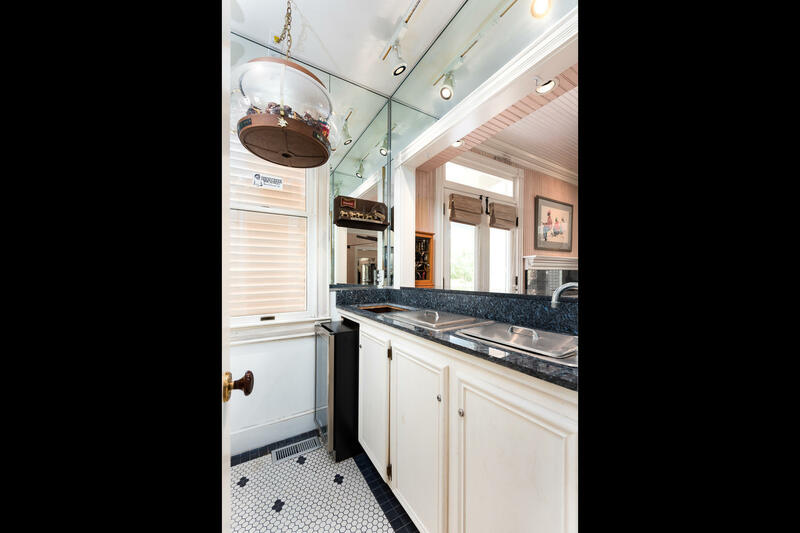 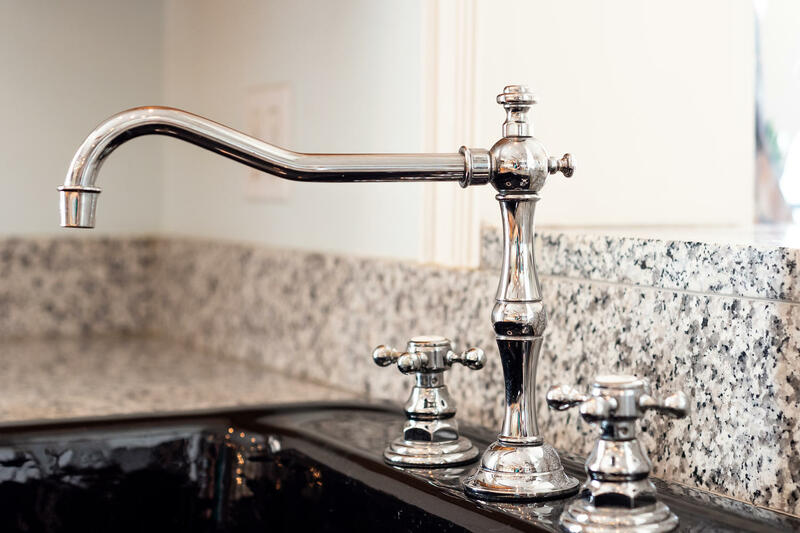 The chef's kitchen boasts commercial sized gas grills, refrigerator, bar sink, 1/2 bath, and spacious pantry area. 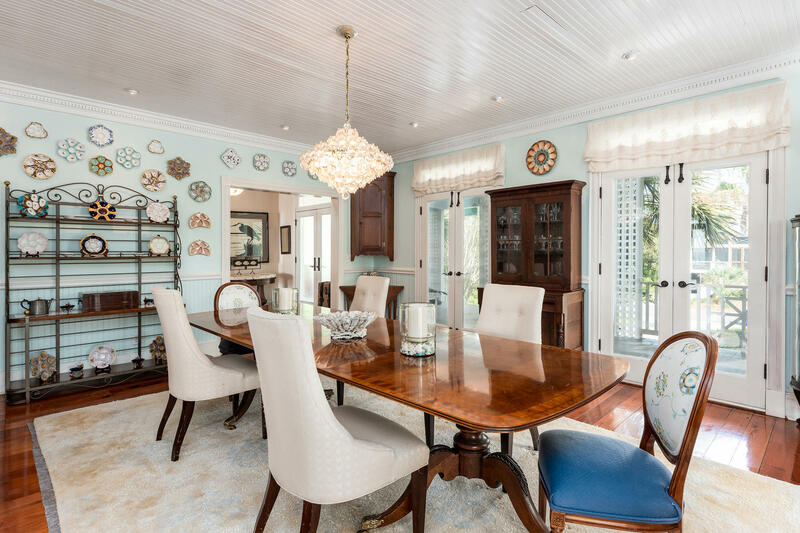 The sunroom adjoining the kitchen is the perfect place to enjoy breakfast and catch up with guests. 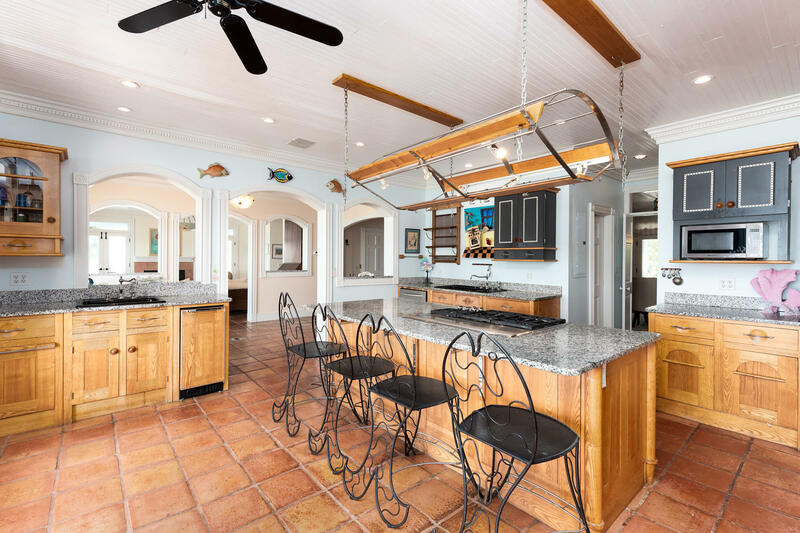 A full bar is located between the family room and living room making it easily accessible from both locations.